Three University of Virginia students will pursue master’s degrees in global affairs, concentrating on public policy, at China’s Tsinghua University next year as Schwarzman Scholars. Campbell Haynes of Nashville, a third-year law student; Ankita Satpathy of Monroe Township, New Jersey, a politics honors major focusing on foreign affairs and minoring in history; and Varun Sharma of Jersey City, New Jersey, concentrating on finance and information technology in the McIntire School of Commerce, were named Monday as 2019 Schwarzman Scholars. The Schwarzman Scholarships for graduate study in China were created in 2013 by private equity firm manager Stephen Schwarzman, who modeled them on the Rhodes Scholarships. The program, housed in Schwarzman College at Tshingua University in Beijing, fully funds participants’ expenses, including travel costs and a modest personal stipend. Courses are taught in English and draw on some of Tsinghua University’s most accomplished professors, as well as visiting scholars from leading global institutions. Beyond the classroom, scholars gain exposure to China and a broad network of important relationships through unique internships, mentorship opportunities, high-profile speakers and travel throughout China. Haynes, Sharma and Satpathy will join the program’s fourth cohort, 147 scholars from 38 countries and 119 universities, with 40 percent from the United States, 20 percent from China and 40 percent from the rest of the world. They are the fourth, fifth and sixth Schwarzman Scholars from UVA. Andrus Ashoo, director of UVA’s Office of Citizen Scholar Development, praised the three Schwarzman recipients. “I could not be more pleased for each of these students,” Ashoo said. “It is wonderful to see the diversity of interests among them: domestic politics, international diplomacy and finance as a force for good. Haynes received a bachelor’s degree in government from Dartmouth College before attending UVA Law. He is editor-in-chief of the Virginia Law Review, and a member of the Raven Society, the American Constitution Society, the Minority Rights Coalition at North Grounds and the Virginia Law Democrats. Leslie Kendrick, vice dean of the Law School and the David H. Ibbeken Research Professor of Law, praised Haynes as an extremely gifted lawyer and scholar. Melody Barnes, a distinguished fellow at the School of Law and a senior fellow and Compton Visiting Professor in World Politics at the Miller Center, called Haynes a young leader of unlimited potential. 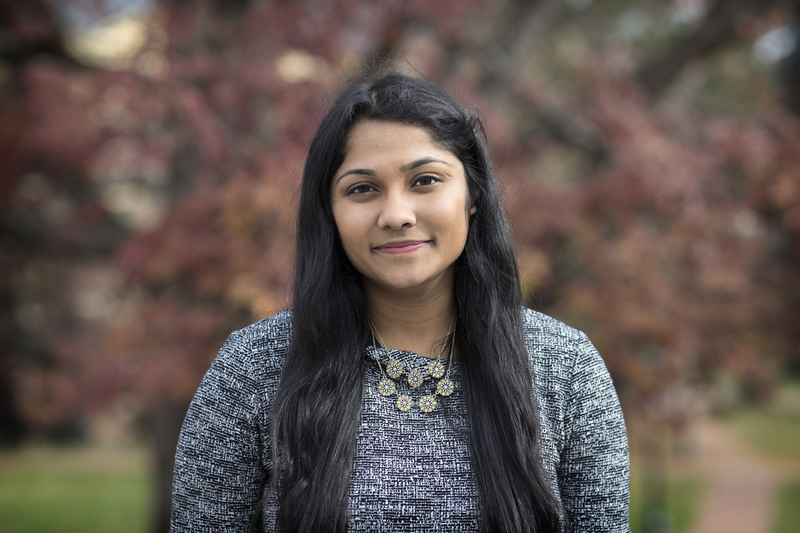 Satpathy, a fourth-year politics honors major, has academic interests that include U.S. foreign policy, human rights, refugees and migration, as well as conflict resolution and stabilization. She said she will focus her studies primarily on international studies. “I am writing an undergraduate thesis on the use of sanctions as a diplomatic tool and their relative effectiveness,” she said. She is currently serving as the vice chair for hearings for the University Honor Committee and was formerly an Honor Committee support officer. A resident adviser to first-year students, she has been an intern at the Miller Center and a research assistant for politics professor David Leblang. Leblang said Satpathy will be an outstanding representative of UVA in China. An Echols Scholar, Satpathy was the secretary general for last year’s Virginia Model United Nations, an annual international policy simulation held at the University for approximately 1,000 high school students each year. She has also been a senior writer for the Cavalier Daily, the independent student newspaper, and a Madison House volunteer. She has been an intern for the State Department’s Bureau of Educational and Cultural Affairs and for the Legal Aid Justice Center of Central Virginia. A graduate of Monroe Township High School, Satpathy plans to pursue a career in diplomacy or international policy analysis, with particular attention to human rights. Satpathy said she was pleased to be part of an international program that unites young leaders from across the globe and confronts them with questions about the world’s most pressing issues. Varun Sharma, a fourth-year commerce student concentrating on finance and information technology in the McIntire School of Commerce, has been researching whether experiencing China’s Cultural Revolution as a child has an impact on the risk tolerance of the managers of Chinese firms, as a part of the Global Commerce Scholars program. Sharma said he has been fascinated with China for years and that the Schwarzman Scholarship will give him the opportunity to engage with and explore the country. Hsiang-ning Sunnie Wang, now coordinator of the Chinese language program and an instructor in Chinese applied linguistics at the University of British Columbia, taught Sharma for several years while she was at UVA. Wang said she had seen Sharma grow into a well-rounded student and a young leader with high aspirations and a steadfast determination to pursue a career in public service. Sharma respects and acknowledges people’s different opinions and is open to uncertainty and contradiction while exploring the truth, Wang said. 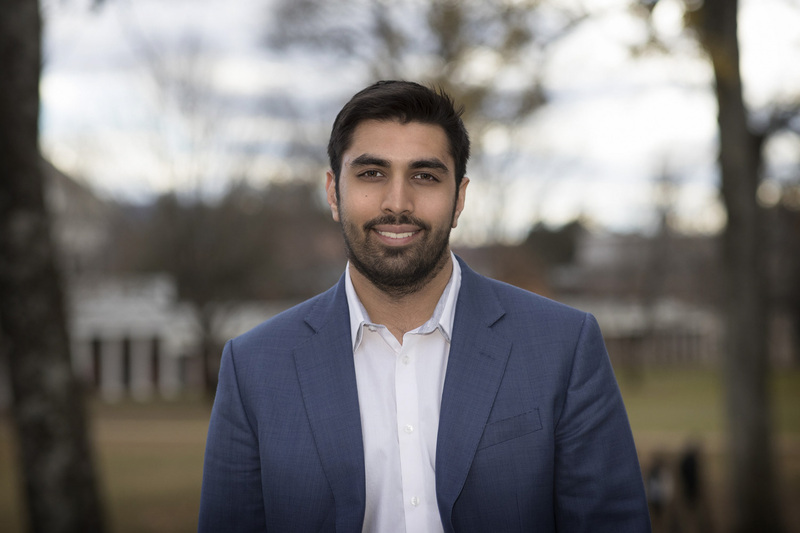 Sharma is the co-founder and president of HooThinks, a group that offers pro-bono strategic and operational consulting services to student organizations at UVA; a senior counselor for the University Judiciary Committee; and an undergraduate teaching fellow in the Department of Economics. 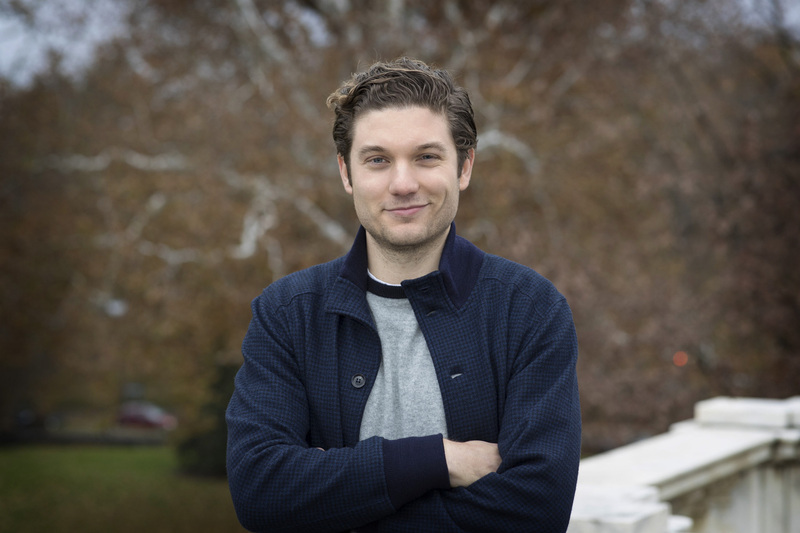 He previously served as treasurer of the Jefferson Literary and Debating Society, a staff writer for the Virginia Review of Politics, and Under-Secretary-General for Business and Charity for the Virginia Model United Nations Conference. A Jefferson Scholar and an Echols Scholar, Sharma also received the Founder’s Grant, an award that funded his participation in the UVA in Shanghai Intensive Chinese Language Program. A graduate of Dr. Ronald E. McNair Academic High School, Sharma ultimately aspires to work in the field of impact investing, identifying companies that balance social and financial returns.